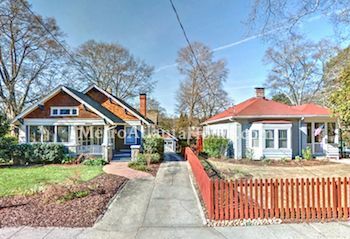 Listed on the National Register of Historic Places as an historic district, Winnona Park is bordered by Mimosa Drive, East College Avenue, South Candler Street, and South Columbia Avenue. Homes in Winnona Park have notable architecture that reflects the style of the late 1800s and early 1900s. 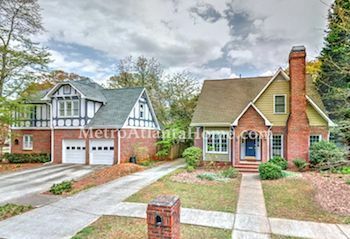 Craftsman Bungalows, Georgian Revival, and English Country are only some of the styles of these classic homes. Originally farms and estates, Winnona Park appeared in the 1800s and was named after the Winn family, particularly James J. Winn, a clergyman. The original house can still be found on South Columbia Drive, a farmhouse built in 1868, known as the Avary-Fulton House. The business district at East College and South Candler was built in the early 1900s and included a drug store and a train depot, as well as a school. Winnona Park contains three churches, All Souls Fellowship, Columbia Presbyterian Church, and Julie Thompson Smith Chapel, part of Agnes Scott College. There is one park in the neighborhood, Dearborn Park, a seven-acre park with sports courts, a playground, picnic area, and trail.